The firm's total income grew around 2 per cent to Rs 13,480 crore in the March 2018 quarter, up from Rs 13,183 crore in the year-ago period. The company's investor release added a significant milestone - its annual revenues in the last fiscal crossed Rs 50,000 crores, up 8.2 per cent year-on-year. 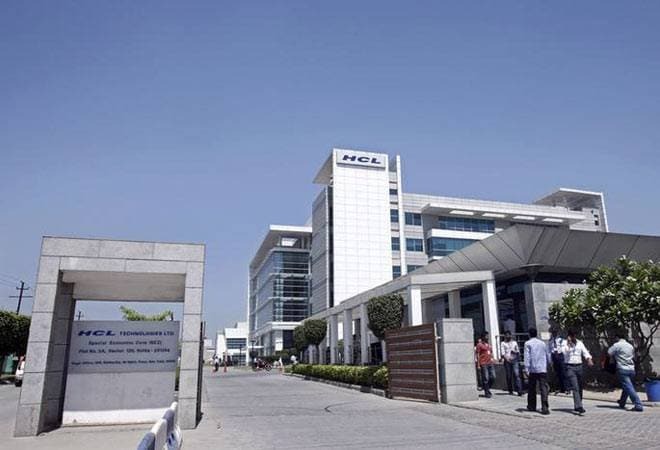 HCL Technologies, India's fourth largest IT services firm, claims to have concluded the fourth quarter (Q4) and the last fiscal with an "industry-leading performance" backed by broad-based growth across verticals and robust client additions. However, its consolidated net profit slid 9.8 per cent year-on-year in the quarter under review to Rs 2,230 crore. It was still up 1.5 per cent compared to the December quarter. The net profit reportedly dipped (as per Indian Accounting Standards) compared to the year-ago period as there was a one-time benefit from tax reversal in the January-March 2017 quarter. "We are very happy with the overall FY18 performance. We have achieved both on revenue and margin front. The revenues for FY18 grew by 12.4 per cent and the EBIT margin at 19.7 per cent, both of which have been in the guided range," said Anil Chanana, CFO, HCL Technologies Ltd, adding that "Profit to cash conversion has been healthy with Net Income to Operating Cash Flow at 99 per cent and Return on Equity at 25.2 per cent". According to President & CEO C.Vijayakumar, the deal pipeline for fiscal 2019 looks similar or better than last year. The company statement added that 63 transformational deals had been signed during the year, of which 15 were signed in Q4, spread across Mode 1, Mode 2 and Mode 3 services. While Mode 1 refers to core services, Mode 2 includes next generation services - think digital and analytics, internet of things, cloud native services and cybersecurity - and Mode 3 comprises IP-led offerings. Vijayakumar also highlighted that the company had been investing significantly on its Mode 2 and Mode 3 offerings for customers. And it has paid off - revenues from these offerings together grew 41.5 per cent in FY18, and together accounted for 23.4 per cent of the firm's revenues for the fiscal (up from 18.6 per cent in FY17). The statement added that the board of directors has declared an interim dividend of Rs 2 per equity share.